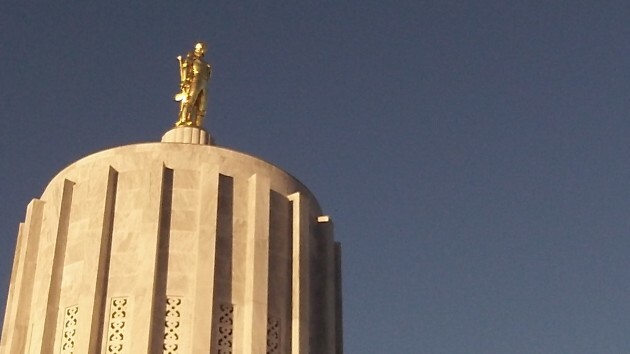 The Oregon House Wednesday approved a bill calling for “cultural competency standards” at all public universities and community colleges by the end of 2020. The bill is a model of vagueness, but its opponents fear it will lead to campus suppression of free speech and thought. While waiting for a vote on another bill, the tougher penalties for using mobile phones while driving, I listened online as the House spent nearly two hours debating House Bill 2864-A, before finally approving it, 45-15. “Each public institution of higher education shall establish a process for recommending, and providing oversight for the implementation of, cultural competency standards for the public institution of higher education and (its) employees,” the bill says. Rep. Mike McLane, the Republican leader, feared the bill would have a chilling effect on campus speech. He asked if under the bill, any student or employee failing to live up to those “standards” would face consequences such as being expelled or disciplined. No, said Rep. Teresa Alonzo Leon, D-Woodburn, who carried the bill on the floor. It’s a “non-punitive bill,” she insisted. Rep. Duane Stark, R-Grants Pass, told the House that seven years ago, in a “social justice” class at Portland State taken by his wife, the professor called Christian men the “epitome of evil” and referred to him, Stark, a pastor who had spent time working in places where his was the only white face, as the “leader of the epitome of evil.” His wife complained to the school, the legislator said, but nothing happened and his wife still smarts from those harsh comments. The moral of the story seemed to be that at Portland State, you better not look sideways at any minority, but a white Christian can be insulted all day long. The sponsors said the bill might cost $400,000 to administer, most of it in the biennium after this one, and the expense would be worth it. But Julie Parrish, R-Tualatin, said she had calculated that based on the number of people it would require, the cost would be closer to $1 million a year — not a good thing when money is short. Democratic representatives urging passage of the bill variously cited, among other things, their experience as a Latino student at the University of Oregon, Oregon’s early history of excluding blacks, and one legislator’s mother’s experience with school desegregation in the South 60 years ago. The bill was sent to the Senate. Among its cosponsors, are Rep. Dan Rayfield, D-Corvallis, and Sen. Sara Gelser, the Corvallis Democrat whose district includes Albany as well. What complete idiotic waste of money at a time when they are RAISING tuitions. How are these idiots going to pay for it. Here, here! I’m aligned with Herr Hering. It seems more wise to focus on cultural incompetency. That way, when someone says something incredibly offensive or does something indubitably idiotic, no one will take notice because…well that’s what defines incompetency, isn’t it? Pathetic and utterly ridiculous. Will apply to everyone except white male Christians as that is the only group that is ok to discriminate against!!! Colossal waste of time & money! Sad that somebody feels a need to codify what I knew by the age of 6. Family and church demonstrated how to behave. If this passes, folks will find the ethics of multicultural interaction too difficult to describe in print.